Declaring anyone out of the pitch or giving him a ‘sixer’: it is all in the hand of the man who stands behind the wickets at bowler’s end. Without having any doubt, they are the ones maintaining peace and gameplay according to the rules of one of the most watched sports, Cricket. As they are also human beings, some misjudgments also come from their sides, which, accordingly, put any team in a tough situation, even when they are very close to their winning ceremony. So check out best Cricket Umpires of all time and their importance in the cricketing history. Irrespective of those wrong decisions which are very less in number, they are the symbol of justice for any team on the ground, without which, the match itself will be a misery. At the 10th spot in the list of best Cricket umpires of all time, we have Tony Hill. Anthony Lloyd Hill, better known as Tony Hill, was born in 1951 in Auckland, New Zealand. His made his debut as an umpire in an ODI between New Zealand and Zimbabwe at Napier in March 1998, and he officiated at his first test match in December 2001 between New Zealand and Bangladesh at Hamilton. During his time on the International Umpire Panel, ICC had appointed Hill to matches away from New Zealand as a neutral umpire for supporting the Elite Panel, and particular highlights are, the third test between South Africa and Australia at Johannesburg in March 2006, as well as officiating on-field at three Group A matches at the 2007 Cricket World Cup in St. Kitts. He had officiated at 40 International Test matches and 96 ODIs, along with 17 T20 International. Hill earned his place into the ICC Elite Panel of umpires in 2009. 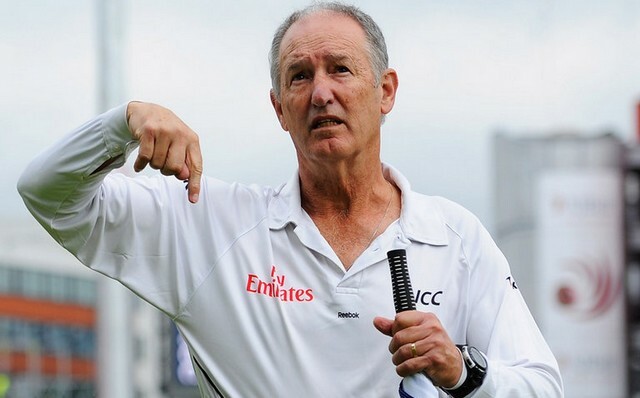 At the 9th place in the list of best Cricket umpires of all time, we have Darrell Hair. Darrell Bruce Hair, born in 1952 in Mudgee, New South Wales, is also famously known as Darrell Hair. Hair umpired in his first Test match in January 1992, between Australia and India in Adelaide. In a 1995 match between Australia and Sri Lanka in Melbourne, he no-balled one of the greatest spin bowlers, Muttiah Muralitharan, seven times in three overs for throwing. He had officiated at 78 International tests with 139 ODIs and 6 T20 Internationals. 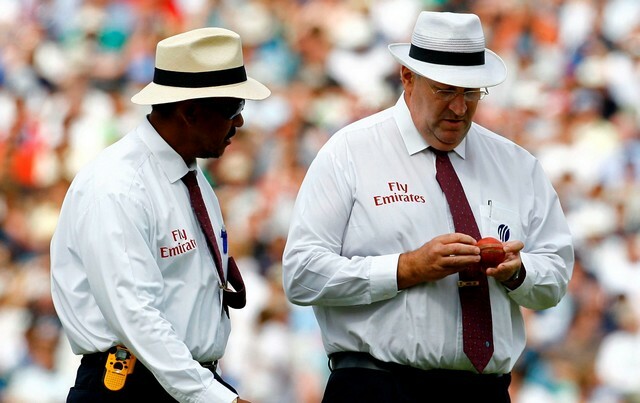 On the fourth day of the fourth Test between England and Pakistan in 2006 at The Oval, Hair and fellow umpire, Billy Doctrove, ruled that the Pakistani team had been involved in ball tampering. They awarded five penalty runs to England and offered them a replacement ball. In protest, the Pakistani players refused to take the field after the tea break. Later, an ICC board meeting discussed his actions in that Test match and it was decided he should not umpire matches involving the test playing nations. On 22nd August 2008, Hair handed in his resignation to the ICC in order to take up a coaching role. At the 8th spot in the list of best Cricket umpires of all time, we have Rudi Koertzen. Rudolf Eric Koertzen, famously known as Rudi Koertzen, was born in Knysna in the Western Cape, South Africa in the year 1949. A cricket enthusiast since his childhood, Koertzen played league cricket while working for South African Railways. For a start, he became an umpire officiating at domestic games in the year 1981. Rudi then broke into the international arena in the year 1992, when he umpired in his first ODI between South Africa and India. During that same tour, he made his test debut, again in a game between South Africa and India. Rudi took the umpiring standards to higher levels and became a full-time ICC umpire in the years 1997 and soon became part of the Elite Umpires Panel, as well. Eric has officiated at 108 tests and 209 ODIs along with 14 T20 Internationals in his career. He was also the first umpire to umpire in 200 ODIs. Rudolf Eric was awarded the ICC Bronze Bails Award for 100 ODIs, ICC Silver Bails Award for 200 ODIs and ICC Golden Bails Award for 100 Tests. At the 7th spot in the list of best Cricket umpires of all time, we have Daryl Harper. Daryl John Harper was born in the year 1951 in Australia. He attended Norwood High School before he started as a primary school teacher. He had a brief career as an Australian football referee before an injury forced him to quit. Harper then began his umpiring career in the year 1983. He became the first umpire from Australia to be selected into the Elite Umpires Panel of the ICC in 2002, and continued as an elite umpire till 2011. He was also an International Test umpire between 1998 and 2011. Harper had a brilliant career as an umpire as he officiated at 94 tests and 174 ODI’s in total. Later, in the year 2011, ICC announced that Harper was being stood down at the termination of his contract in July 2011. In June 2011, following criticism from India during the India-West Indies Test series, Harper retired from umpiring. He received the ICC Bronze Bails Award for umpiring in 100 ODIs. 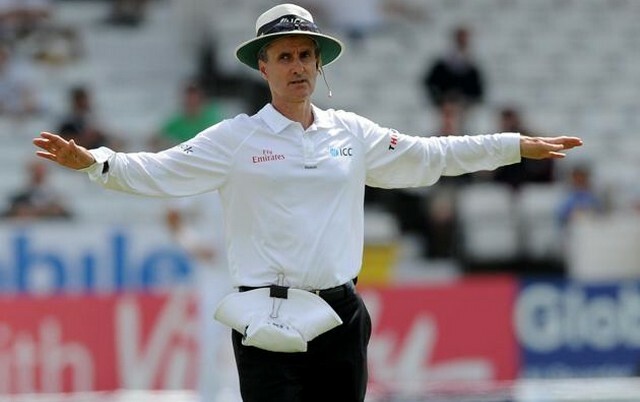 At the sixth place in the list of best Cricket umpires of all time, we have Billy Bowden. Brent Fraser Bowden or Billy Bowden was born in the year 1963 in Henderson, New Zealand. He has officiated at three ICC Cricket World Cup events and was the reserve umpire in the final of both the ICC 2007 and the ICC World T20 2007. His first ODI as an umpire was in 1995 between New Zealand and Sri Lanka and then he made his test debut as an umpire in 2000 between New Zealand and Australia. His career is decorated with 200 ODIs and 84 tests, along with 24 International T20s to go with it. 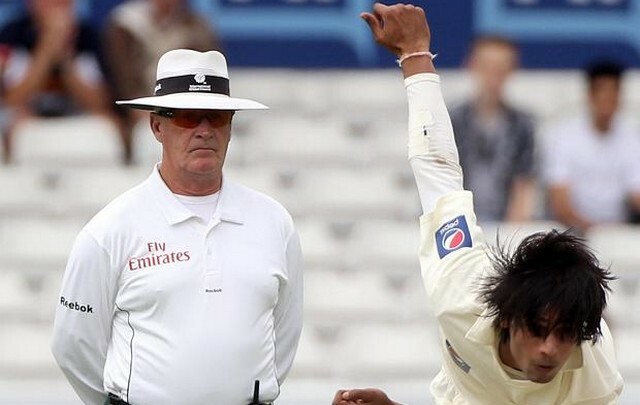 Billy Bowden earned his place into the ICC Elite Umpires Panel in the year 2003. Now retired, Billy was best known for the unique and bizarre umpiring signals that he undertakes, especially the dance jig while signaling sixer and his crooked index finger to adjudge a batsman. As a fact, He had the distinction of officiating at two ICC World Cup 2003 matches in which hat-tricks were taken. He was presented with the ICC Bronze Bails Award, for officiating at 100 ODIs in 2007. 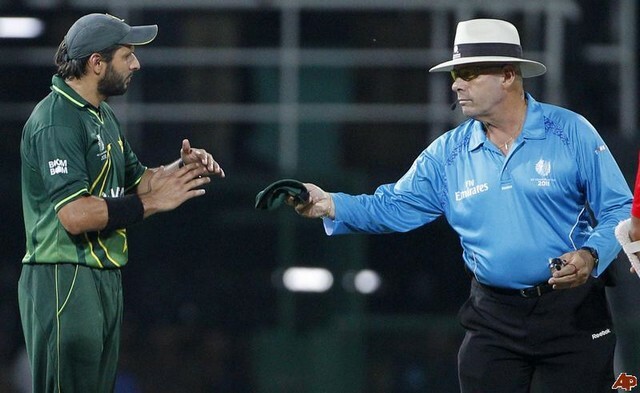 At the 5th place in the list of best Cricket umpires of all time, we have Aleem Dar. Aleem Sarwar Dar, mostly known as just Aleem Dar, was born in the year 1968 in Pakistan. Before he started his career as an umpire, he was a Pakistani first-class cricketer, and he had played for Allied Bank, Gujranwala Cricket Association, Lahore, and Pakistan Railways as a right-handed batsman and a leg-break bowler. He began his journey as an international umpire at the age of just 30 when he debuted in a match between Pakistan and Sri Lanka in 2000. Two years later, he earned his place into ICC’s elite panel of umpires. He won three consecutive ICC Umpire of the Year awards in 2009, 2010 and 2011 and also awarded “Pride of Performance Award Pakistan”. Aleem Dar had a brilliant World Cup 2011 as he gave 15 consecutive correct decisions that won a battle against DRS challenges. He has officiated at 117 test matches and 190 ODIs along with 43 T20 Internationals as of 2018. 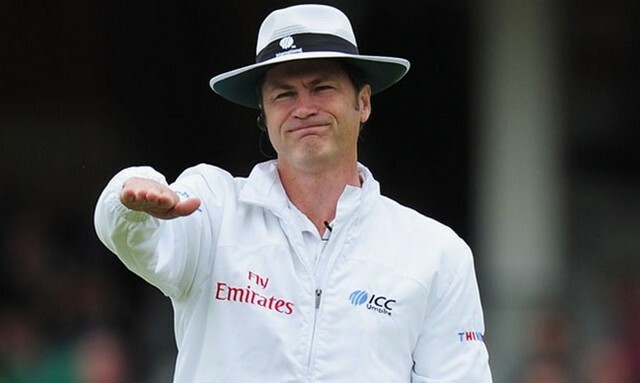 At the 4th place in the list of best Cricket umpires of all time, we have Simon Taufel. Simon James Arthur Taufel was born on 21st January 1971 in St Leonards, New South Wales. Before starting his umpiring journey, Taufel played as a fast-medium bowler for Cammeray Cricket Club in the Northern Suburbs Cricket Association. After the 1990-91 season, he won the club’s best and fairest player award, as he was the leading wicket-taker and had the lowest bowling average in the association. Tragically, he had to cut short his bowling career due to a horrific back injury. Taufel made his international debut in the year 1999 in an ODI between Australia and Sri Lanka. He then went on to make his test debut in the year 2000 between Australia and the West Indies. He has earned praises for being one of the best umpires after receiving the ICC Umpire of the Year Awards five times consecutively from 2004 to 2008. Taufel has umpired in 74 tests, 174 ODIs and 34 T20Is. After the 2012 ICC World Twenty20 final, he announced his retirement from international cricket and took the role as an umpire performance and training manager. 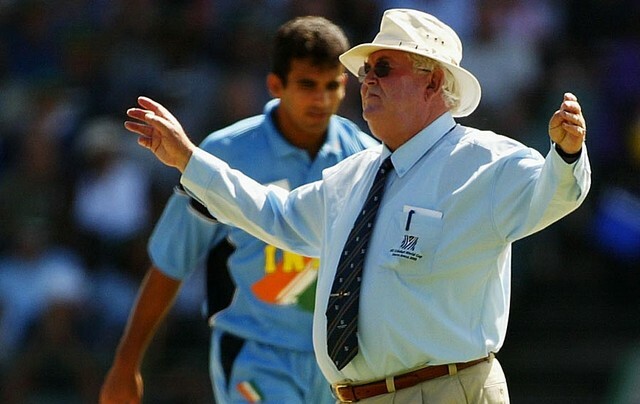 At the third spot in the list of best Cricket umpires of all time, we have David Shepherd. Shep was born in Bideford in Devon on December 27, 1940. He started his career as a first-class cricketer who played county cricket for Gloucestershire for 14 years as a middle order batsman. Following his county career, Shepherd qualified for umpiring in 1981 and made a debut as an umpire in the 1983 World Cup in England, when Pakistan played Sri Lanka at Swansea. His debut test as an umpire was in the 1985 Ashes Series, the fourth Test at Old Trafford, Manchester. An interesting fact about David Shepherd was, he always raised his leg whenever any score would reach 111. He stood in 92 Test matches, the last of them in June 2005, and the most for any English umpire. He also umpired in 172 ODIs, including three consecutive World Cup finals in 1996, 1999 and 2003. David married his longtime girlfriend, Jenny, in 2008. However, a year later he expired due to lung cancer. 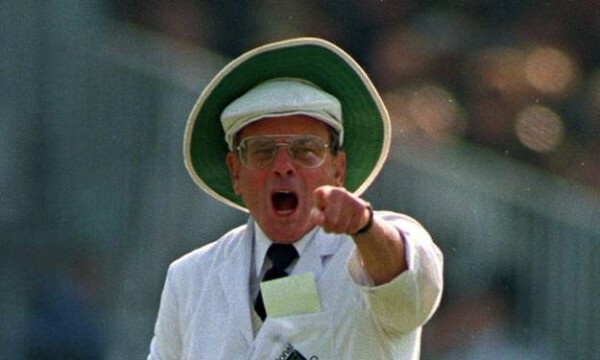 Harold Dennis Bird, famously known as Dickie Bird, holds the runner-up spot in our list of best Cricket umpires of all time. He was born on 19th April 1933 in Yorkshire. He was a school dropout and worked in a coal mine in his early days. Dickie’s first passion was football, which he had to stop playing after suffering an injury. He then took to cricket and started playing county cricket in his early career in Barnsley. Later, he started playing for his native county, Yorkshire. 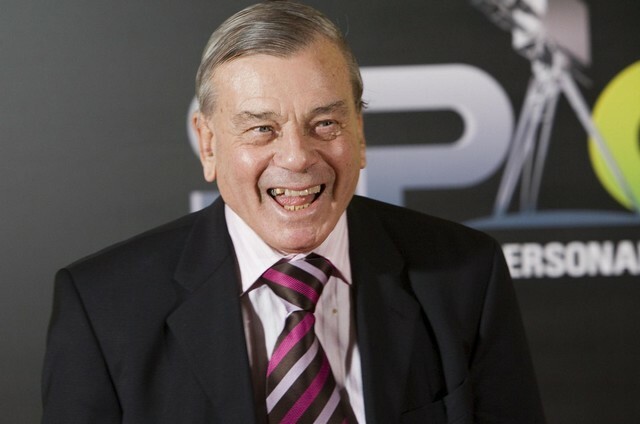 Dickie Bird first officiated at a test match between England and New Zealand in Yorkshire. He continued as an umpire for three World Cup finals in 1975, 1979, and 1983. Dickie has umpired in 69 One Day Internationals and 66 Test matches. He received the Officer of the Order of the British Empire in 2012 for his contributions to cricket. Both Indian and English players gave him a guard of honor in his last test match in 1996. Later, Yorkshire announced that Bird is to be voted in as the club’s president at their Annual General Meeting on 29th March 2014. 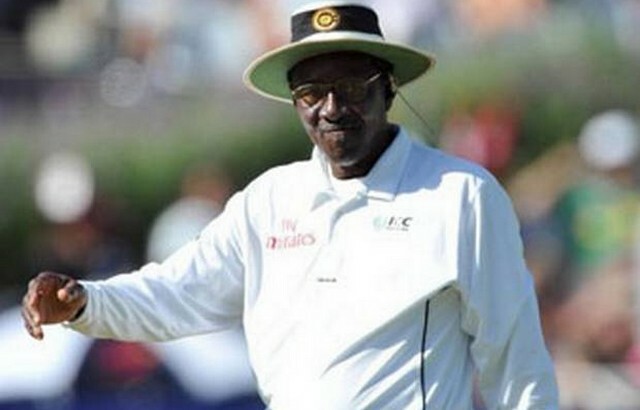 Stephen Anthony Bucknor, famously known as Steve Bucknor, holds the top spot in the list of best Cricket umpires of all time. Bucknor is one of the most experienced umpires who was born in Montego Bay, Jamaica, in 1946. Before he started his umpiring career, he was a high school mathematics teacher and sports coach. Bucknor was initially a football referee before he moved to cricket at the age of 45. His first test match as an umpire was in the year 1989 in a test between West Indies and India. He also officiated at his first ODI in that same year between West Indies and India. Steve Bucknor has an outstanding number of 128 test matches and 181 ODIs under his belt. He received the Order of Jamaica, Commander Class, for “outstanding services in the field of sports” in October 2007. Bucknor has also received the ICC’s Bronze Bails Awards for umpiring in 100 ODIs, as well as the Golden Bails Award for umpiring in 100 Test matches. This well-known umpire announced his retirement in 2009. Many famous umpires have already retired, and many are in the way of making themselves famous. 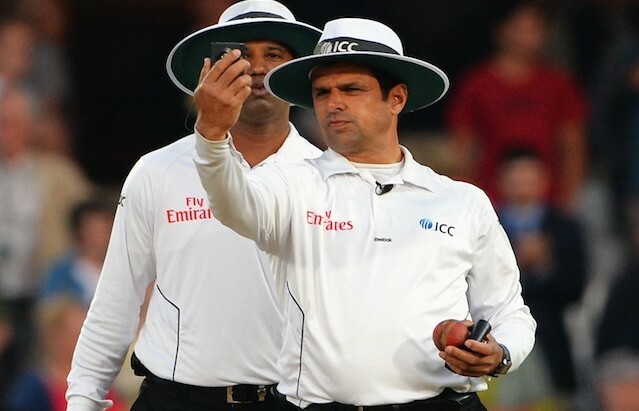 As of 2018, the Elite Panel of ICC Umpires consists of Aleem Dar, Kumar Dharmasena, Chris Gaffaney, Ian Gould, Marais Erasmus, Richard Illingworth, Nigel Llong, Bruce Oxenford, Richard Kettleborough, Paul Reiffel, Sundaram Ravi and Rod Tucker. The cricket world depends upon them as the spectators are eager to see some best decisions during the adrenaline-driven matches. Share your thoughts aboutthe top 10 Best Cricket Umpires in the comment box below.